Lovely and well-maintained home on coveted block on the section that faces a small pocket park. Entry foyer and designated and large living and dining rooms, renovated kitchen with cleverly tucked half bath, as well as a cheery 3 season back room that exits to the huge back yard and oversized detached garage. 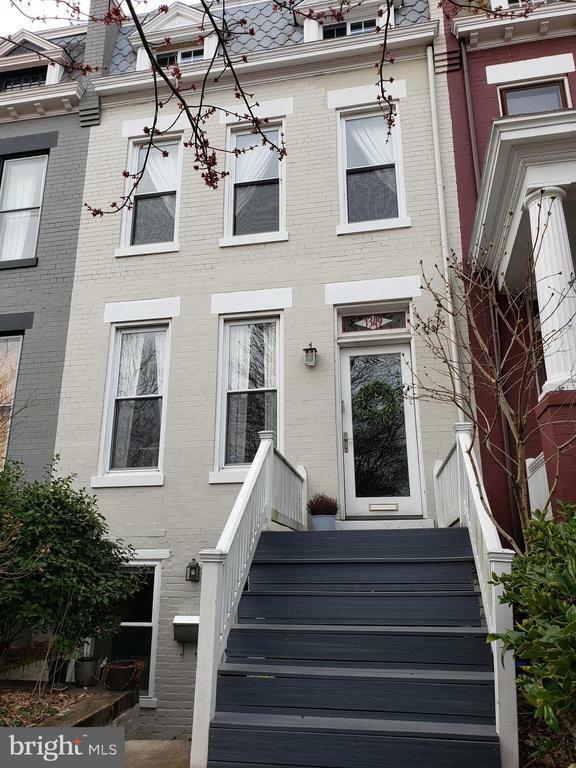 The upper level boasts 3 large bedrooms and an updated bath while the lower level offers a modern studio-like space with kitchen, full bath, front, rear, and interior egress. Tenanted, TOPA issued and tenants have purchased another property. Will be delivered vacant. Available for showings during one 3 hour period from 5-8pm. Offers will then be presented as received.